I had smiled and hugged my kids, then sent them out the door to school on September 11th. What happened while I cleaned up the cereal bowls still brings me to tears today. Alone in my kitchen while watching the Today Show on a small television, I witnessed mass destruction broadcast live. When the second plane crashed into the tower, my heart became gripped in a kind of terror I had never felt before. Speculation soon became reality that we had been attacked. My family, including my parents had been inside the World Trade Center only a few weeks before. My son Kelly must have had an intuitive sense about The Twin Towers. 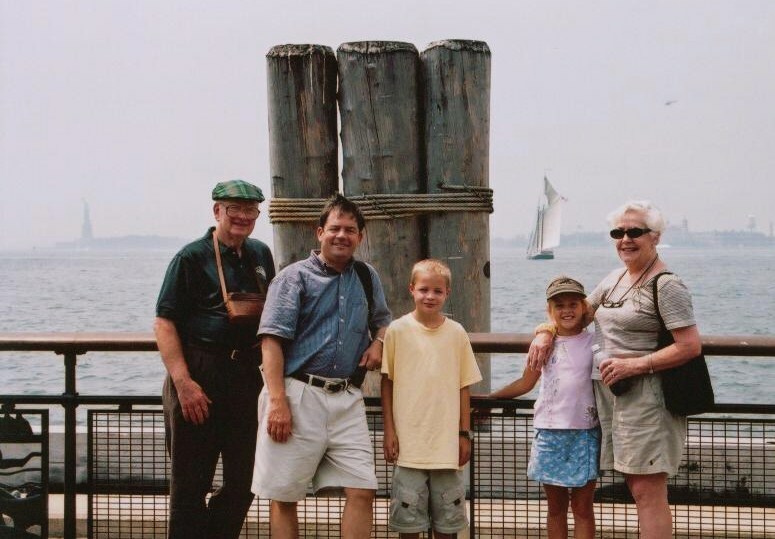 As soon as we arrived in New York City, he would frequently ask, “How far are the Twin Towers from here?” This was the first stop before a European vacation and we only had two full days to show my parents around. Because of Kelly, we taxied down to the financial district. My husband and I owned a toy and school supply business and had traveled to New York City for Toy Fair many times. 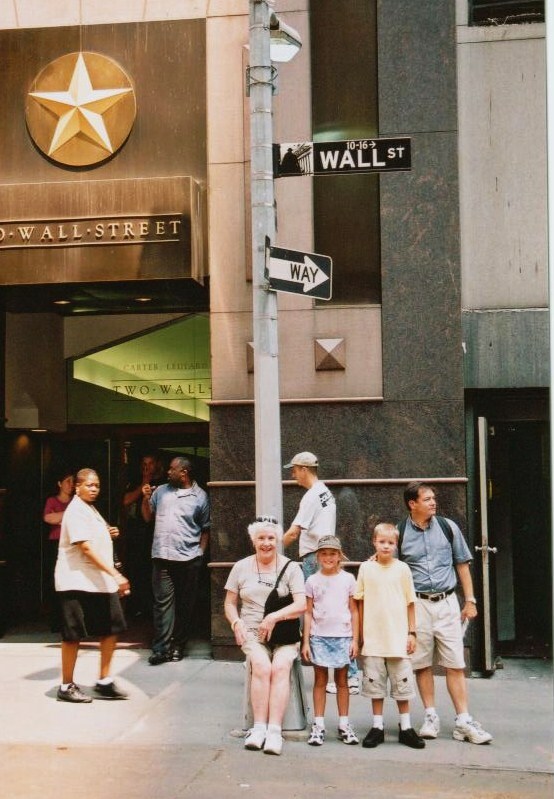 I had never been interested in the Wall Street area and had only traveled down there once. After taking many pictures of The Statue of Liberty, the six of us traipsed the couple blocks to the Towers. We hoped to take a tour of The Top of the World and get a bite to eat in their top floor restaurant. We had heard about the breathtaking views. As we entered the cool cream granite tiled building, we were impressed by the high ceilings and natural light. We gazed in disappointment at the line for the tour that wove up the massive stairway and around the second floor and imagined it would take hours. With so little time to see everything in the City, we opted for a main floor explore. Then we spotted a sign for gifts and shops under the building. We walked down the stairs where independent vendors sold trinkets to tourists. My daughter, Courtney, and I were enthralled by one of the stalls, selling of thousands of charms. The salesman was young and had a thick head of black curly hair. With a broad smile, he asked many questions about life in Colorado. After a friendly exchange, we bought apple charms. We climbed the stairs and emerged into the blinding sunlight. Then we bought a few items from vendors selling leather goods and socks on the sidewalk. These people thwarted the typical New Yorker stereotype. They were super nice. Weeks later, alone in my kitchen, the memory of the people I met at the Twin Towers came back to me. No one heard my screams when the second tower tumbled to the ground. My heart wrenched for the unsuspecting workers who came to put in their hours making cheerful conversation with tourists and for all who did business in the offices above. All these years later, just writing this brings tears to my eyes. So many emotions rose from my heart that day. Sadness for the loss of all the wonderful people who died, but intense anger for the terrorists that changed so much for us in this country in one horrific day. After sobbing for hours I rose from my chair and stormed down the basement stairs looking for our cache of American flags. We had just sold our wholesale business, but had sold flags along with many other sundry items for years. I found the electrostatic flags and pressed one onto my car window. I went back down the stairs and dug through cardboard boxes until I found a couple of small flags. I stuck them into the remaining flowers planted in the cement pots outside at the front entry. I smiled when I found our 4×8 flag. It still hung on a wooden pole from the last Boy Scout meeting. I took it off the pole and jerry-rigged the string through the grommets and hung it lengthwise on the front door. I held my breath along with many other Americans, praying for no other heinous attacks. Every time I heard the breaking news theme music, my heart would race. I had to turn off the TV every time it repeated the video of the collapse of the buildings. This was the only time in my life, when depression took hold of me. I knew why I was going through this rough period and allowed myself time to grieve along with the nation. I think part of the reason it hit me so hard was experiencing the death of so many, live on TV, alone with no one to talk to until later in the day. It took me months before I could go to a sports arena or shopping mall without fear. By the 4th of July, I sensed the strength of camaraderie as a nation who had put aside differences to come together like never before. When the Star Spangled Banner blared at the end of the concert we attended, we heard the very first shouts of, “AND OUR FLAG WAS STILL THERE!” I smiled and shivers ran up my spine. I was never prouder of our country or of being an American. I stood with my husband, two children, and fellow Americans as tears ran down my cheeks. We would endure. Very Touching. I am glad your family was able to enjoy NYC with out the cloud of “after’ that the events of 911 placed upon all of us. As a child I watched the towers being built as I played in battery park, and after everything that was lost that day, NYC just doesnt look (or feel) teh same. its sad. 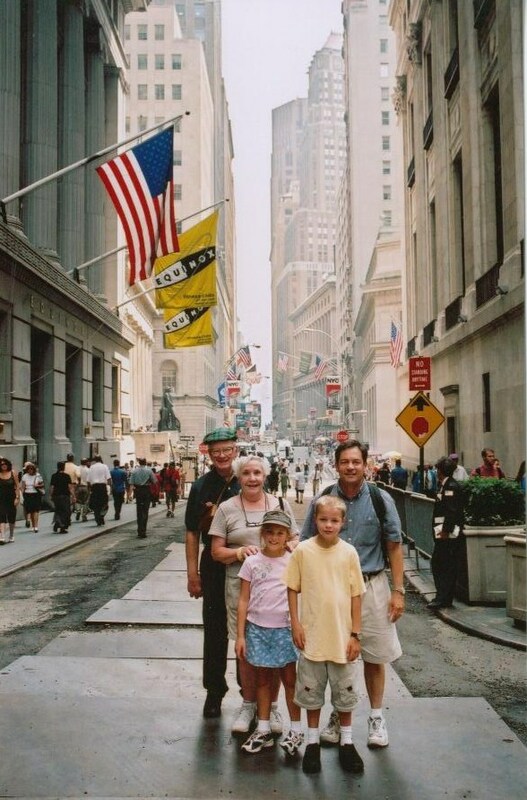 When our family went back and visited ground zero, I could barely keep myself together. There was such a palpable sense of loss and sorrow there, I am hopeful that it will change after the new tower is built. I think we, as a nation, lost our innocence that day like a teenager who thinks they’re invincible – until they’ve had to attend a funeral for one of their own. touching post, Susie. thanks for sharing. Thanks for stopping by Madison. I know there were so many innocent families who were deeply effected that day and my heart goes out to them.